WEDDING VISIONS awarded best wedding videographers for 2017! For the second year in a row Wedding Visions has been awarded best wedding videographers at wedding.com! Thank to all of you for making it possible, and thanks to our wonderful staff here at the WV. We couldn't have done it with out all of you! WEDDING VISIONS awarded Best of Thumbtack! 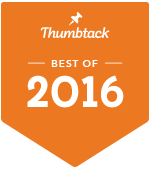 Two years in a row Wedding Visions has been awarded best wedding videographers at Thumbtack.com! Thanks to all of you for making it possible, and thanks to our wonderful staff here at the WV. We couldn't have done it with out all of you! WEDDING VISIONS is a proud member of the Wellfleet Chamber of Commerce. For the fifth year now Wedding Visions remains an active member of the Wellfleet Chamber of Commerce. We have enjoyed meeting many of the other business people in town as well as attending the many events sponsored by the Chamber. Should you be in the area be sure to stop in to the Chamber Cottage in South Wellfleet!